Lately I've come across a few articles that question the relationship between Cholesterol and Heart disease. I've also read some articles which states that Statins (Cholesterol lower medication) are not necessary a good thing. Below are some links to articles about these topics. The reason for my post is that before my heart attack I didn't have high Cholesterol and even now after the attack my cholesterol is low but I am on statins. The Doctor prescribed it as a precaution after attack and not because I have high cholesterol. My question is just why take medication if you’re not sick, only for precaution? Isn't a healthy diet and exercise the medicine you really need? 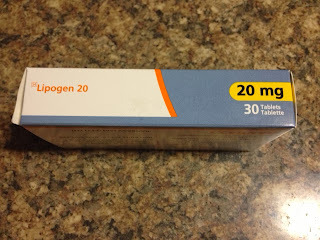 The other day I was at the doctor and suggested that I want to stop using the medication as what I've read and understood from the articles I am doing more damage than good and it is also now proven that if I should have had high Cholesterol it is not necessary a bad thing or the cause of heart attacks. Needless to say the Doc said no, I must still use them. Johan - my advice would be to get a second opinion From another cardiologist! Heart disease prevention lies in maintaining a healthy lifestyle and keeping a good diet.